Ani Thirumanjanam ( Tamil month spanning June-July) is a special day ( Uthiram Nakshtram) when an Abhishekam is performed for Lord Nadaraja. After this, the days get shorter and the nights get longer. It is believed that Lord Nadaraja gives darshan to his devotees in the months Ani and Margazhi. It was on Ani Uthiram, under a kurundai tree, that the Lord offered upadesam to Sage Manikkavachakar the writer of the famous Thiruvachakam. Legends have it that during the abhishekam to the Lord, as everyone watched, the sage merged in the Lord as a brilliant flame. At Chidambaram the event began with the Nadaraja Vigraham being brought out from the sanctum sanctorum in a Chariot and taken in a procession around the temple.The word "Thiru manjanam" means Holy bath. Performing these Abishegam will help you to remove the bad effects of karma in life and to receive the blessings for life. Lord Shiva is the source of all movement within the cosmos, who is represented by the arch of flames. The Lord Nadaraja's form demonstrates his five-fold functions: creation, preservation, destruction, concealment and salvation. The rattle (udukkai) in his right hand represents creation; his raised right arm with the open palm (abhaya hastam) protection; his left hand holding fire destruction; his firmly placed foot concealment; and his other, slightly lifted, leg salvation. On the auspicious days of Nadaraja Abishekam, one can access the higher level vibrations of Lord Shiva’s consciousness. Lord Nadaraja is given six abhishekams in a year. Earth takes 365 days to complete one full circle around the sun. That duration is divided into six seasons - Marghazhi-Thai: early winter; Maasi-Panguni: late winter; Chittirai-Vaikasi: early summer; Ani-Aadi: high summer; Avani-Purattasi: autumn; Aippasi-Karthikai: rainy season.This six-season year of humans is said to be one day for the immortals. A day has six periods: dawn, morning, noon, afternoon, evening, and night. These are when the six daily poojas ( Kaala Pooja) in temples are performed. During each of these six parts, an Abhishekam has been ordained for Lord Nadaraja. One of these is Ani Thirumanjanam, the pradosha abhishekam on the evening of the day of Uthiram Nakshatram in the Tamil month of Aani (June-July). This is an occasion to minimize all the bad effects of your karma by impressing the divine Cosmic Dancer. The Pournami is the time to create or manifest your desires since the energies of the Goddesses Lakshmi, Saraswati and Parvati are all at their peak power on Pournami. Goddess Lakshmi grants the power to manifest wealth and create joy. Goddess Saraswati gives the power of knowledge and love of music and dance. Goddess Parvati fulfils worldly desires and gives peace. It is said that the Sun God and the Moon Goddess are cooled down by the shower of the Pournami rays which are the reflected Sun rays and in turn shower their blessings on Earth in the form of prosperity and joy. What happens during Pournami ? Ascended enlightenment masters, the Siddhas, Yogi and Rishis although they live in the other dimension they come to earth plane on this day in order to bless the human being so that they can receive spiritual blessings. The earth plane is also for performing certain ritual and meditation practices. So the ascended Siddhas, Yogis and Rishis come to earth plane on Full Moon day in order to perform those rituals. When you are aware you can get connected to them and get their bless easily. How our body and mind will react to Pournami ? The planet has moved into a certain position with the moon. The vibration and the feel of the moon is very different when it is full than when it is in other states. And the magnetic pull is also different; the pull of the moon is working upon the surface of the planet which is exposed to the moon. So when there is a natural pull like this, because your spine is vertical, there is a tendency for the energy to go into a natural upsurge of upward movement. Within you, the blood and the prana – the fundamental life energies, flow in a different way because the vibrations have changed. So just as the tides rise more on that night because the gravitational pull of the moon is working on the water more than on other nights, your blood is also being pulled and the circulation of blood increases in your brain. When this upward movement happens, whatever is your quality, can get enhanced. You may have heard that people who are a little off their mental balance will become more imbalanced on those days because the upsurge in energy enhances whatever is your quality. If you are little imbalanced, it will make you more imbalanced. It is also doing the same to the other qualities in you, but most people may not be sensitive enough to notice it. If you are meditative, it makes you more meditative. If you are love, it makes you more love. If you are fear, it makes you more fear. Whatever is your quality, it enhances that. What to do during full moon day? One should seek guidance, blessing and grace of Ascended Masters. It is better to visit and meditate in holy places and to worship one’s own Guru. How to make home environment positive and receptive during full moon day ? Apart from doing meditation, one can do Homam and can chant mantras. It is better to let the mantra cd run all the day. Mantras have positive sounds which completely transform the environment and make it more receptive to divine energy. How to do Homam ritual by yourself ? Homam is a fire ritual where normally a priest is called to conduct at home to cleanse the house of any unwanted negative energy and invoke positive energy. In the ritual special herbs and twigs are used in a fire to clears the house of any bad energy. You can do this yourself by buying the homam ingredients, where you can be easily buy in Indian shop which will cost around RM 10 a box and conducting a simple fire ritual by burning it inside a clay pot. Doing this ritual once every month on the eve or the morning of Pournami (Full Moon) would rid off any negative energy that is accumulated in the house and charge your house with Nithya Deivathai shakti - energies from the Full Moon for a greater prosperity. Appropriate patterning, or ritual conduct, is the foundation of a healthy life. Siddha's art of living promotes healthy organization of the energy channels and the seating of the prana, or internal winds. You may want to fine-tune this practice for your constitution. In order to do that, consult a beginning book about Siddha Practice, the Tantrik life science. This version of practices has been shortened and simplified. If you are being advised by a Siddha doctor, or you have a Guru, that person will give you more detailed instructions based on your constitution and sadhana. Remember that Siddha's art of living is ritual. Try to directly experience the rhythm you are establishing in your life. As you are practicing art of living feel that you are honoring your self, your body and God by participating in this daily ritual. Wake up by atleast 5AM to 6 AM(1-2 hours before Sun rise). If you can’t manage this at first, work your way into it. You can train yourself to wake up at this time naturally. The Sun activates the pineal gland to send messages to the adrenal glands to release adrenal cortisol, which wakes us from deep sleep. Before opening your eyes or getting out of bed, sense the energy of the day. Rub your palms together quickly to generate warmth, then gently massage your face, head, arms and hands with long, smooth strokes. Repeat this sequence until you have gently massaged your entire body, including your feet. Check through your nostril(dominant). Step out of the bed, touch the ground with the leg dominant side. Evacuate your bowels. You can train yourself to do this at this time. If your digestion is normally sluggish, drink a glass of warm water (fresh ginger, optional). Wash your hands, and splash cold water on your face. Scrape your tongue with scraping tool available at pharmacy or yoga studio (dont use plastic one). Brush your teeth with mild, natural toothpaste and a soft toothbrush (if can with twigs like neem twigs etc.). 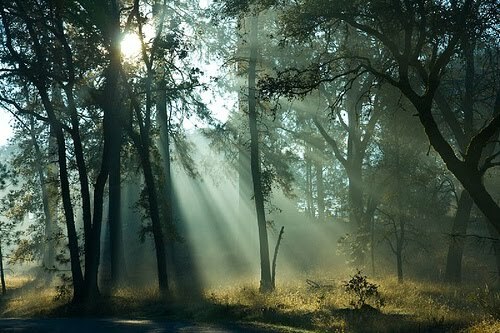 Take a slow walk in the fresh morning air for 30 to 45 minutes. In the bathroom, dry brush your whole body. Use a natural bristle brush. Vata types should be particularly careful to stroke downward and without too much force. Pitta types should also use strokes that are less intense. Kapha types can use more vigorous back-and-forth strokes. Perform Oil Bath—self-massage with gently warmed coconut oil + sesam oil + mustard oil / olive. Spend 30 to 45 minutes massaging the oil into your skin with long strokes, including ears, face and neck. A drizzle of warm oil may be poured on the crown of your head if you are planning to wash your hair. If your constitution is mainly kapha, you should perform oil bath only one to two times per week. You may want to use one of the massage oils formulated specifically for a kapha constitution. If you are experiencing high vata or pitta, you may want to use sesame oil or coconut oil respectively. Massage your body with oil only on lunar days (Monday, Wednesday, Friday & Saturday). Take a shower. Use Shiyakai or natural soap. Pad yourself dry. For normal cold bath pour water from top to toe while humming hmmm). Eat breakfast. Follow the natural dietary instructions for your constitution. Shower after work if the day has been stressful, or especially hot or humid. A bucket shower is great at night. The sheets of warm water from the bucket are much more relaxing than a typical shower. Eat dinner no later than 7 pm or 3 hours before you go to sleep (fruits or light / easy to digest meal). Follow the dietary guidelines for your constitution. Go for a slow walk daily for 30 to 45 minutes if you missed in the morning. Stop watching TV, using the computer or reading at least an hour before bed (2-3 hours before mid night). Instead, spend some quiet time with your loved ones. Or sit quietly, linking up with your Guru or simply the larger cosmos and a sense of grace. You can also do Pranayama and Meditation. Go to sleep by 10 PM at the latest, before you become exhausted, or even very sleepy because the oxygen level during this time will become lower to make you sleepy. Try to fall asleep with God, Guru or positive thought in your heart. Rohini, Mrigasheersham, Punarpoosam, Poosam, Uthiram, Hastam, Swati, Uthirattathi and Uthiraadam. Rohini, Mrigasheersham, Uthiram, Hastam, Chitirai, Kettai, Uthiraadam and Thiruvonam. Ashwini, Punarpoosam, Poosam, Hastam, Swati, Moolam and Revathi. Rohini, Poosam, Pooram, Hastam, Anusham, Kettai, Uthirattathi, Avittam, Sadayam, Uthiraadam and Revathi. Ashwini, Rohini, Poosam, Magham, Uthiram, Hastam, Chitirai, Swati, Anusham, Moolam, Uthiram and Revathi. Ashwini, Rohini, Mrigasheersham, Punarpoosam, Poosam, Hastam, Chitirai, Anusham, Uthiram, Thiruvonam, Avittam, Sadayam, Uthiraadam and Revathi. Thiruvaathirai, Ayilyam, Kettai, Moolam, (Tuesday and Saturday). Mars should be strong and the 8th house unoccupied. Waxing Moon, but not a Full Moon. Ashwini, Mrigasheersham, Punarpoosam, Poosam, Hastam, Anusham, Moolam, Thiruvonam, Avittam and Revathi (Tuesday should be avoided if possible). 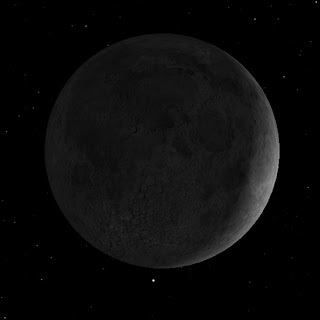 The Amavasai is the day of the conjunction of the sun and the moon, the fifteenth day of the dark half of a lunar month. The occurrence of Ammavasai is based on the lunar calendar, which works on the 30-day lunar cycle. Ammavasai is the first night of the first quarter of the lunar month. Sometimes, Ammavasai is also mistakenly said no Moon night. This is because Moon cannot be seen on the night of Ammavasai. The actual no moon night is Shivarathiri a day prior to Amavasai. Ammavasai holds great importance in Hindu religion, tradition as well as culture. Hindus usually use this day for offerings to their dead ancestors. These offerings are known as Tharpanam. Ammavasai is an auspicious day since the Moon will ever grow from New Moon onwards. If someone start auspicious activities like starting business, buying house or land it will grow like a waxing Moon. However, there are some who mistakenly consider it to be an inauspicious day. There has always been an ongoing debate whether Ammavasai is an auspicious or inauspicious day. The term Ammavasai is usually used in all regional languages in India. The fortnight from the day of Ammavasai is known as Shukla Paksha. Shukla Paksha means ‘the bright half of the month’. Mauni Ammavasai and Mahalaya Ammavasai are considered to be very auspicious. Mauni amavasai falls in the Tamil Thai month, which is January-February. On the other hand, Mahalaya Ammavasai falls in the Puratassi month, which is September-October. In the same way, Ammavasai falling in the Aadi month is of great importance in Tamil Nadu - the land of mystics. From Ammavasai to Pournami, every month the opportunity is created naturally. Even for those who are completely unaware, there is a natural opportunity available beginning every Amavasai and moving on. Somavara Ammavasai is associated with the new moon which occurs on a Monday. Monday or Somawar is a moon's day. It is an auspicious day for observing the somavara Ammavasai Vratam or fast, for the longevity of their spouses. The Significance of Somavara Ammavasai was narrated toYudhishtra by Bhisma in the Mahabharata. It is said that who ever takes a bath in the sacred rivers on the day would be prosperous, free of diseases and would be free from grief and sorrow. There is also a popular belief that the soul of ancestors will rest in peace if children and relatives take a holy dip in the sacred rivers. Married women take the holy dip for a happy married life and for the long life of their husbands. They also worship the 'arasam maram' - pipal tree on the day. Somavara Ammavasai Vratam (fasting) is observed for a long and happy married life by couples. Many devout Hindus also fast on the day and some people only have a single meal. On the day thousands of people take a dip in Ganga at Haridwar, Triveni and other places in North India. Persons going through the main and sub period of Shani, Rahu, Ketu (mahadasha and antardasha) are suggested to conduct the Shani Ammavasai Puja and Danam so that quantum of suffering or debt is reduced. Since time immemorial, Hindus have believed that the fortnightly cycle of the moon exerts a great influence on the human anatomy just as it affects the water bodies on earth resulting in tides and ebbs. Most Hindus observe a fast on that day and offer food to their departed ancestors. It is said that the ancestors come to their descendents on Amavasai to partake of their food and if nothing is offered to them they are displeased. So, Hindus prepare 'Tharpanam' (sesame rice ball) and await their ancestors. Many festivals like Deepavalli are observed on this day too. Ammavasai marks a new beginning. Devotees vow to accept the new with optimism as new moon ushers in the hope of a new dawn. Masi Magham a very powerful day to get blessings for leadership quality, administration skills, wealth, health and prosperity. This day is one of the most powerful Full Moons of the full year, since the moon aligns with Magham nakshathiram which is the birth Star of the Kings and Ancestors. This coincidence only occurs only once a year and signifies the descent of heavenly beings to the earth plane. On Masi Magham day one should take a bath in a river, pond or lake. You should immerse yourself in the water for three times. 1.The Siddha Medicine (Raja Vaidhiyam). This system is highly organised, classified, and codified and have a sophisticated conceptual and theoretical foundation and philosophical explanation. The knowledge about the miraculous curing properties of plants is limited to Siddha Masters and is passed from one generation to another. 2. The Sidhha Home Remedies (Anubhavamurai Vaidhiyam/Patti Vaidhiyam/Naadhu Vaidhiyam). This system is very rich and diverse, but is not organised or codified. It is a distilled knowledge from people's experience and is prevalent especially in rural and tribal areas of South India. Siddha Home remedies and treatment of diseases by domestic plants have been prevalent since the time immemorial in South India. Anything that is easily available around your home, and has a medicinal use, may be used as a home remedy. When used for medical purposes, herbs, vegetables, fruits, spices, grains and oils are understood to be Siddha home remedies. This oral folk tradition is mainly based on plants and it holds a respectable position today, especially in developing countries where modern health care is limited. Safe, effective and inexpensive indigenous remedies are gaining popularity among the urban and rural populations especially in India and Malaysia. 3. Siddha Kitchen remedies(Veedhu Vaidhiyam) and treatment of diseases by herbs and spices have been prevalent since the time immemorial in India. Anything that is easily available in your kitchen, and has a medicinal use, may be used as a kitchen remedy. When used for medical purposes, herbs, vegetables, fruits, spices, grains and oils are understood to be Siddha home remedies. After a long research and experiences Vijayakumar Alagappan (Founder: IKS Herbs and Yoga and Ancient Knowledge Academy) discovered that the combination of miracle divine herbals like Arugampul, Vilvamilai, Veppailai, Nellikai, Keelaneli, Karisalankanni, Amkurakilangu and few more other herbs are miraculously curing and preventing heaty body / tropical climate diseases like diabetic, blood pressure, skin diseases, stomach disorders, blood disorders, eye problem, depression, migraine, hair drops, hair grey, weak memory power etc., These herbal combination is a true Kaya Kalpam system to regenerating the whole body - physical and mental in tropical climate like Malaysia, Singapore and South India. IKS Kaya kalpam Herbs can heal, cure, energize and make your body glow. It is 100% herbal, safe, effective, inexpensive and Nature friendly - God friendly. The natural herbs and ingredients of the Siddha health system herbs are much better and free of side effects than the factory made chemical stuffed products. Simple Siddha remedies can be very effective in relieving symptoms, and preventing further development of a disorder. Let us together revive the forgotten art of living strong and healthy. Dosage: 1 table spoon twice a day with luke warm water - one hour before breakfast with empty stomach in the morning and in evening one hour from meal. Note : Your herbs will be shipped from Kuala Lumpur, Malaysia. Allow us 7 to 15 days for delivery after the order within Malaysia. Share your experience with us !! Sickness is said to be the punishment for our misdeeds to human, animal, plant kingdom or nature. Therefore one should seek blessings from God by appeasing nature before take medicine to cure diseases. But in today's modern medical system we tend to kill nature and humanity to make, sell and buy medicine to cure our diseases which is impossible. We need to revive and preserve our ancient herbal medical system for today's generation to save human from miserable life with diseases. I'm venturing into natural herbal medical system by adoring the Mother Nature and serving society with humanity. Those who are interested and have the same flow can join me. You can send sms to +6012 910 7301 for further information. Most people in society are afflicted by negative energies. An individual experiences physical or psychological distress due to negative energies or he constantly encounters some or the other obstacle in his life. Negative energies pose obstacles both in the material and spiritual evolution. It is necessary for everyone to give preference to overcome distress due to negative energies. Negative energies like negative karmas, secret enemies, possession, black magic, etc. can be overcome by fasting, smashing coconut and chanting Lord Ganesha's mantra on Sankatahara Chaturthi (4th waning Moon). Even Gods and Goddesses seek Lord Ganesha's help before start a task. How to smash coconut during Sankathara Chaturthi ? If Sankatahara Chaturthi falls on Tuesday then it is called 'Angarika Chaturthi' and considered more auspicious. The fourth day after New moon is also called Vinayaki Chaturthi. This day, which is sacred to Ganesha, is named after his female form. Ganesha, the remover of obstacles, gained popularity in Vedic teachings, his female form, Vinayaki, became popular in Siddha's Tantrik circles. Since the female form was a code for material resources in Siddha's teachings on this day you can put vilaku and pray for material wealth progress (in Suchindram temple at South India near Kanyakumari, there is a small shrine for Vinayaki near the main sanctum sanctorum in dancing pose). Best time for the both Chathurti ritual is in the Noon. For Chathurthi - 4th Waxing Moon, light ghee lamp (vilaku) and pray to Lord Ganesha to manifest your material goal while holding the lamp or circumambulating around Ganesha's 'moola sthanam' (sanctum sanctorum) with the lamp. For Sankatahara Chaturthi - 4th Waning Moon ask Lord Ganesha to remove the obstacles that blocking your manifestation and smash coconut. The story is told of a King who had no issues, inspite of performing many austerities and poojas. He prays to Rishi Naradar to help him. Lord Narada visits the world of ancestors (Pitru Logam) and discovers that the king's ancestors were suffering in hell as the King had no children. The King's father tells Maharishi Naradar that the King should invoke the blessings of Lord Ganesha to obtain progeny and release them from hell. The King undertakes the Sankatahara Chaturti Viratam and within a year he is blessed with progeny.